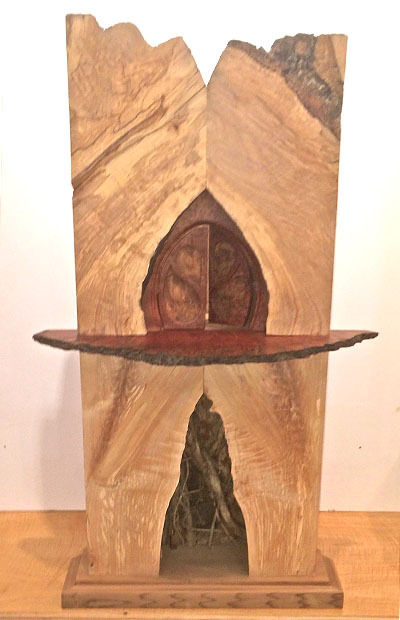 We are very pleased to be able to exhibit a growing selection of wood sculptures by local artist Jay Ylvisaker. 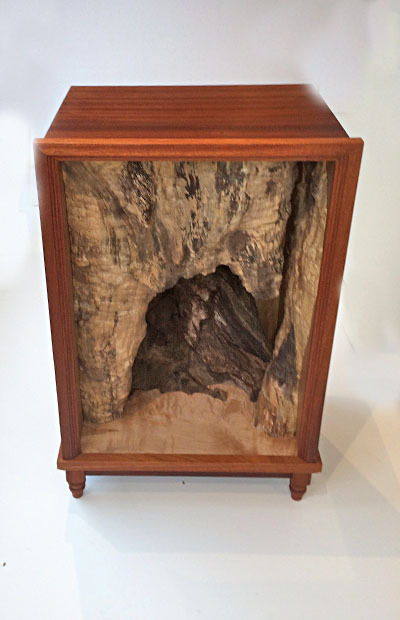 Jay’s work integrates finely-crafted and finished joinery with found wood forms that retain their natural, organic essence. 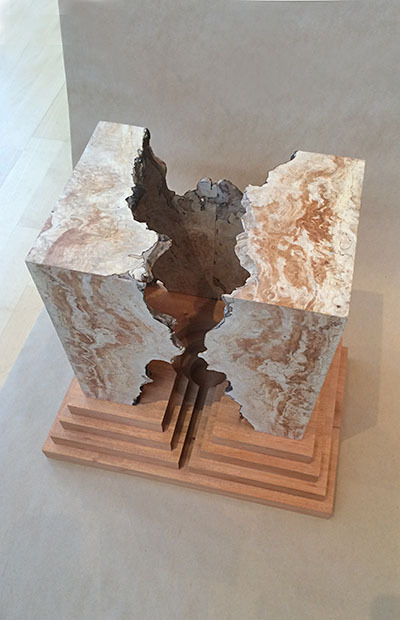 Ylvisaker’s sculptures share an aesthetic vocabulary as altars. They are like small houses that are both beautiful and functional. 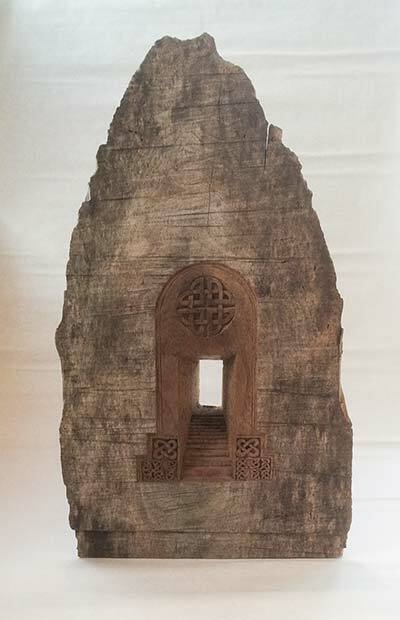 They provide protected spaces—perhaps for keeping special objects, or perhaps as invitations to the imagination to dwell for a time in seemingly tiny interiors that nevertheless expand as they are experienced, and as the wood that shapes these spaces continue to reveal ever more intricate stories. 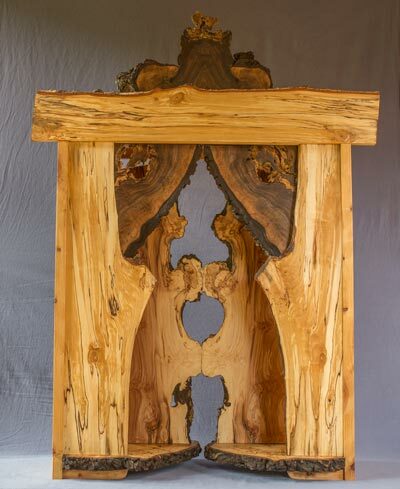 After studying at Pacific Northwest College of Art, Jay’s love of wood and fascination with the interface between architectural form and function led to a career as a designer, builder and finish carpenter. Since moving here to the Coast, he has setup a studio/workshop where he can now focus on work that distills and synthesizes all this past experience into small but very powerful art objects.